New member here with a question, hoping that someone here can help answer it. I just bought a 2006 Civic EX and am getting to know it. 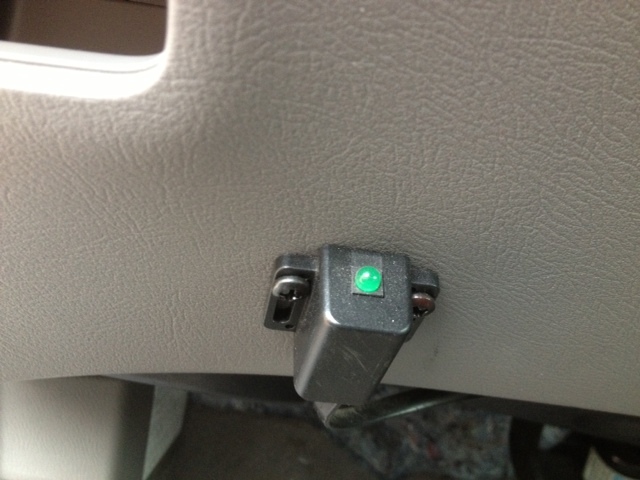 It has a switch under the dash near the steering wheel with a green blinking light. You can't tell from the picture but there is a tiny toggle switch on the back of it. I assume it is an aftermarket kill switch maybe installed by the dealer. Last edited by JaneHonda; 26-Jan-2014 at 06:08 PM. Looks like it has to do with an aftermarket alarm system tho It's kinda out in the open for that. Without being there to follow the wires to where they go... I can only guess tho. Does the switch seem to effect anything? Quick Reply: Is this a kill switch?